Wavespot is one of those ideas that make you wonder why no one thought of it sooner. Think about it. For many types of retail businesses—but especially hospitality establishments like coffee houses, cafes, and quickserves—offering free Wi-Fi to customers is more than a nice thing to offer; de rigueur mortis has set in. It’s an immovable fact that you put yourself at a disadvantage if you’re not offering a functional workspace along with food and beverage. 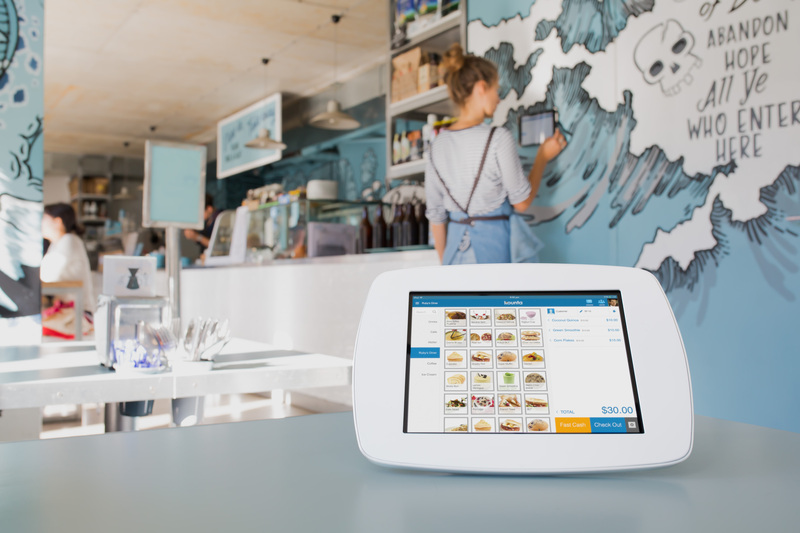 An Internet connection is a required expense for your business, and even if you’re not yet using a mobile POS, you’ve still probably got a wireless router for your own devices to connect to. While it wouldn’t be an added expense to carve out a guest network for your customers, what’s wrong with getting a little something out of the deal? If people are going to stretch a single coffee purchase into a stay of a few hours, you deserve a little more than the $2 of dark roast revenue such an arrangement yields. This isn’t to say you ought to be charging money for the privilege of using your bandwidth. You’ll lose customers at fiber-optic speeds. Which brings me back to Wavespot, and the idea that made me wonder why no one thought of it sooner. Under the hood of the Wavespot router is powerful software that doesn’t just offer up coupons in exchange for a name. The customized splash screen that serves as the access point to a WiFi connection gives the ability to not only reinforce your identity/brand, but to offer deals directly to customers logging on. It’s adaptive to each individual, too, so that first-timers and repeat customers are greeted appropriately. Offering rewards for a Facebook like or check-in or a Twitter follow is a great way to put yourself into that person’s feed, visible to all their friends and followers. When users sign in with their social media accounts, Wavespot can get at whatever readily available demographic data is there, measure engagement, and put your business in their feeds without you having to get involved. That doesn’t mean that you shouldn’t get involved, though. The “social listening” feature can monitor your mentions on FB and Twitter—and reviews on Yelp—and can alert you to any kind of feedback, good or bad. Staying on top of all this chatter frees you to respond where you feel you have to, and ensures you don’t miss the conversations people are having about your cafe. It’s pretty cool stuff, and you can understand why we’re excited to be partnered up with these folks.